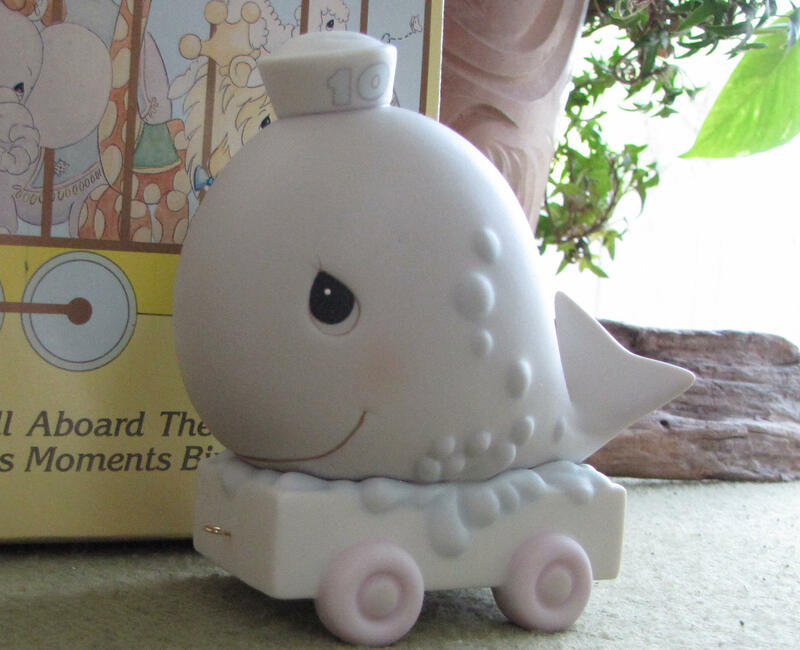 This is the 11th train car in the Precious Moments Birthday series if for their 10th birthday. 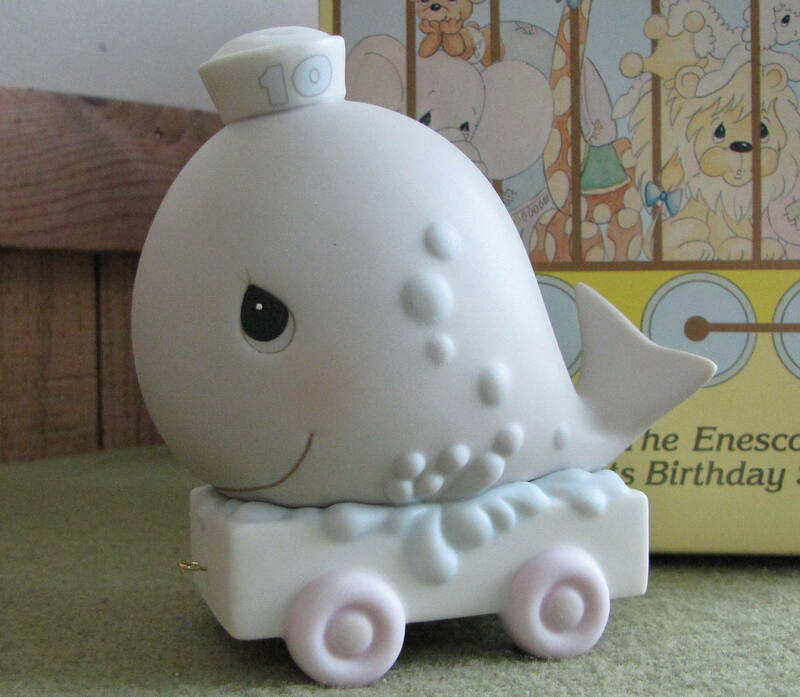 A beautiful whale with a sailor hat on its train car. It has the Heart symbol from 1996. It is created in the original ceramic bisque and has been retired. In very good vintage condition with no chips or cracks. 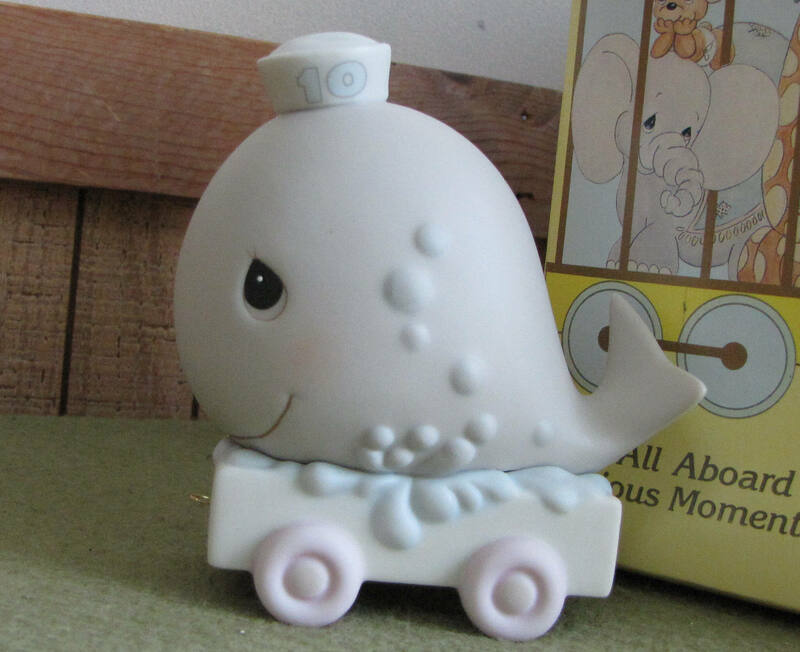 The whale figurine measures 4 inches tall and 4 inches across. 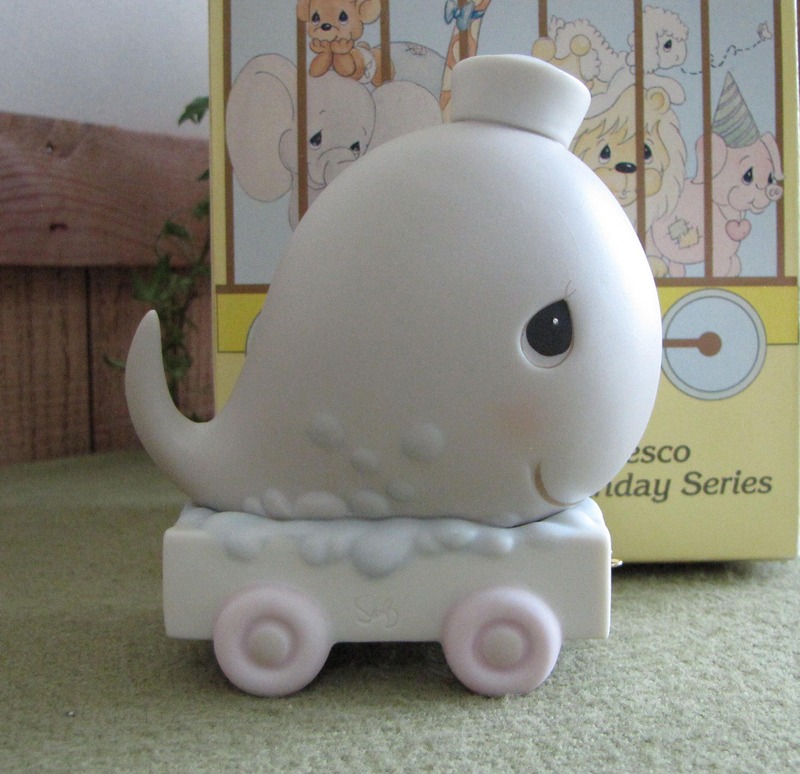 The rail car comes in its original animal cracker box and packaging. 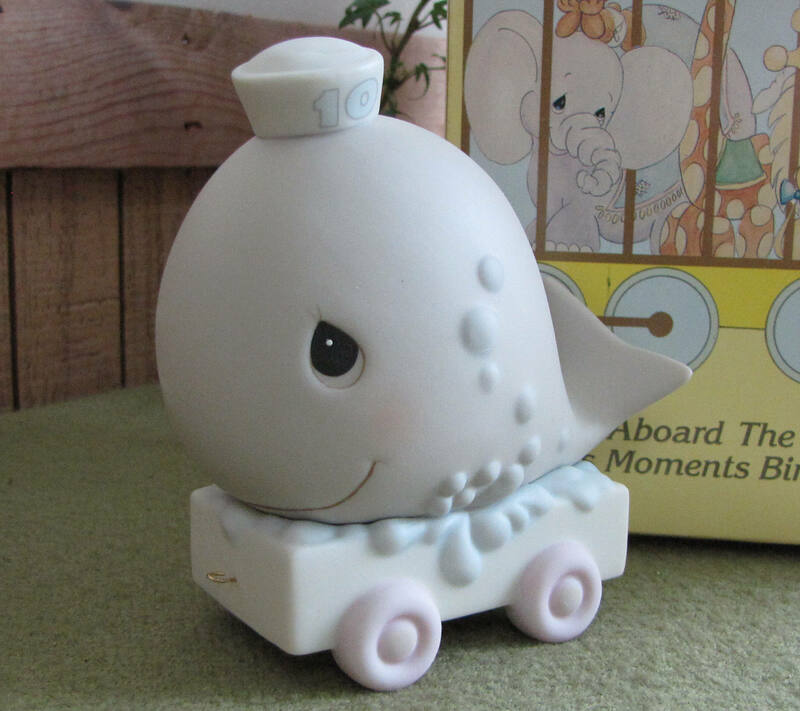 If you are interested in additional Precious Moments figurines, message me for a discount.